Hatcher Hampton is turning twelve. 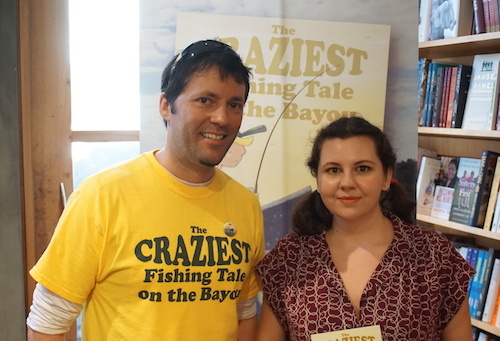 Per family tradition, he’ll be entering his first fishing rodeo, hoping to prove he’s better than his older brother. 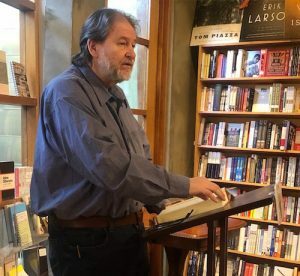 First prize wins $500—money that could save his family from being evicted from their home—and the winner gets his picture in the front page of the paper! But getting stuck in a horsefly-infested swamp with Grampa Grump and no extra underwear isn’t what he had in mind. The virtual field trip is an interactive, live-streamed educational program that explores the WWII experiences of Latino veterans and their postwar fight for equality in the United States. 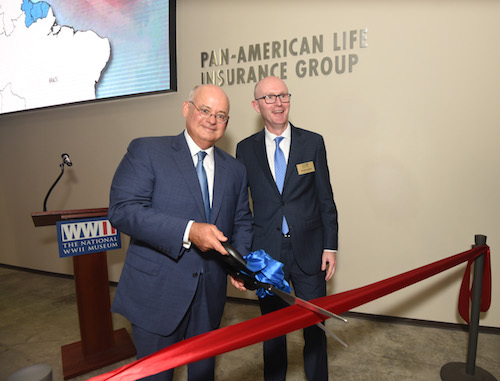 This donation by Pan-American Life will further the educational mission of the Museum through free program access to students across the nation during National Hispanic Heritage Month (September 15 to October 15). 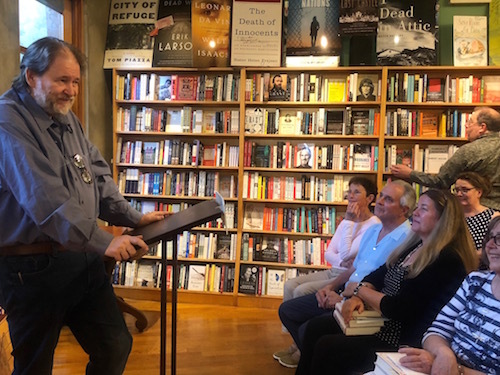 A Pulitzer Prize-winning journalist and best-selling author returned to a New Orleans bookstore to present and sign his new book of classic Southern recipes and lighthearted family stories. 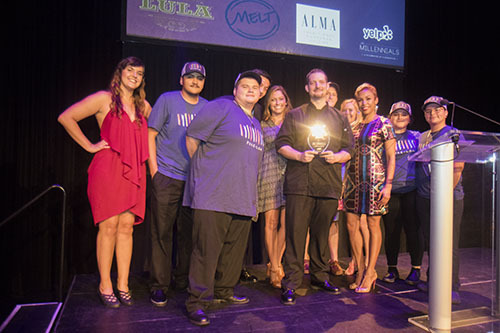 “What I wanted to pull off was the narrative of our food,” Alabama native Rick Bragg said. 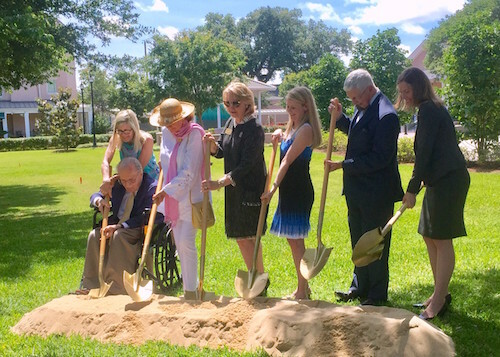 As a Bicentennial Birthday Gift to their residents, Poydras Home held a groundbreaking ceremony on Thursday, May 3 for a scenic park with a Koi pond, patio, gardens, walkway, and gazebo. 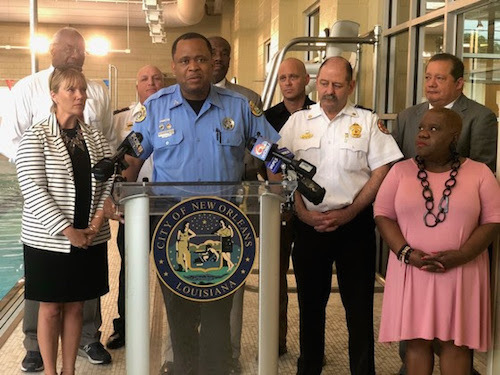 This addition will soon be the setting for interactive therapeutic activities and nature-based programs for residents as well as an oasis of tranquility for families visiting their loved-ones at Poydras Home. 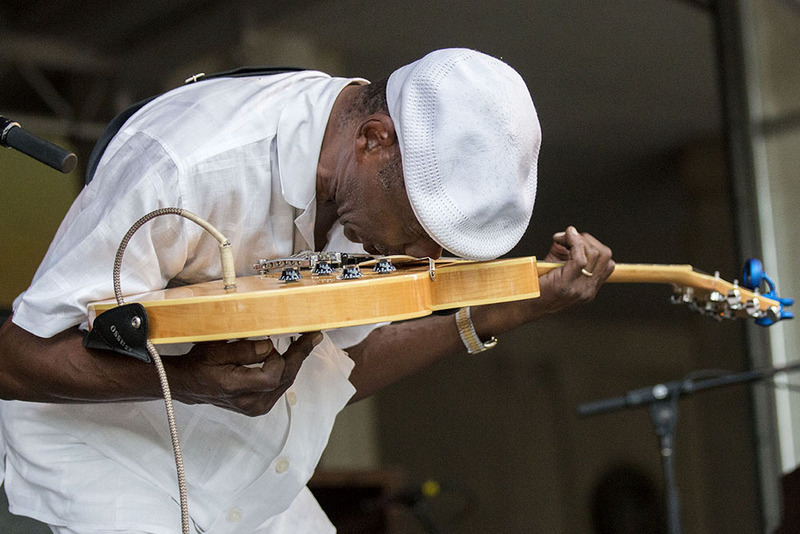 Walter “Wolfman” Washington, a veteran in the New Orleans scene for many years, is set to release his first studio album in 10 years: My Future is My Past. This new record is unlike any he has ever done. He is recording without his band, The Roadmasters, who he has been playing with for nearly 40 years. 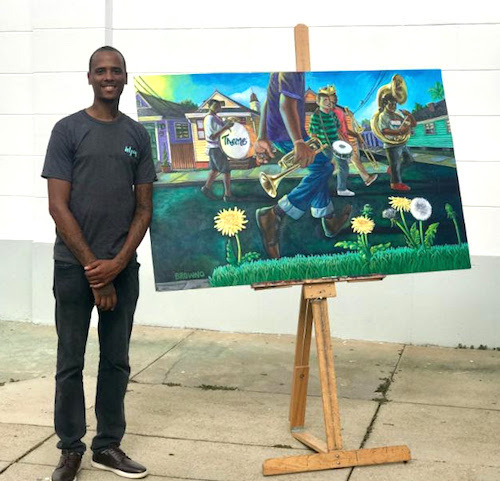 There is no shortage of talent on this record, however, which features New Orleans’ stars singer Irma Thomas, pianist Jon Cleary, drummer Stanton Moore, and organist Ivan Neville. 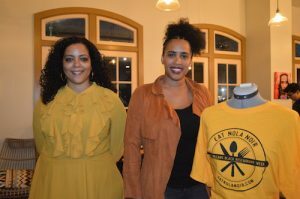 As Black History Month comes to a close and the concurrent, much-needed addition of a “Black Restaurant Week” winds down, I have pondered the lack of celebrated minority chefs in our little hamlet of Uptown New Orleans. The discouraging results after searching memory, calling fellow habitual diners, and ultimately an internet hunt, is that in a city whose famed culinary prowess is shaped by its black cultural contributions, we don’t have nearly enough celebrated, household name, black chefs or black-owned restaurants, past or present. 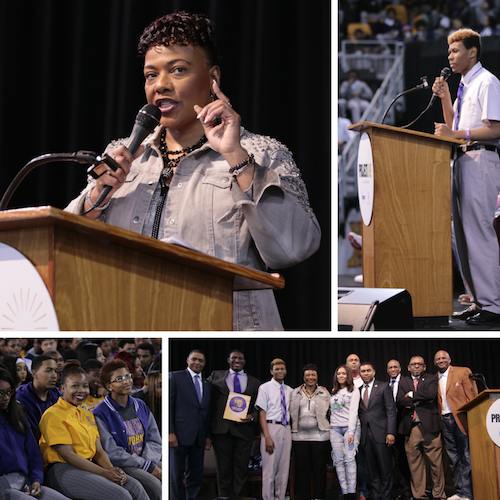 The Project Live & Achieve Rally for Excellence was held at Xavier University on February 2, 2018, and over 5,000 students and community members from across the New Orleans area attended. The audience was inspired by speakers including Dr. Bernice King, CEO of The King Center and daughter of Martin Luther King, Jr. 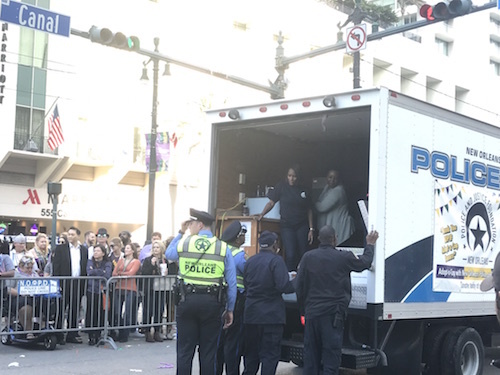 While keeping people safe and keeping the parades in line, many New Orleans police officers patrolling during Carnival have no time to eat during their 8- to 12-hour shifts. 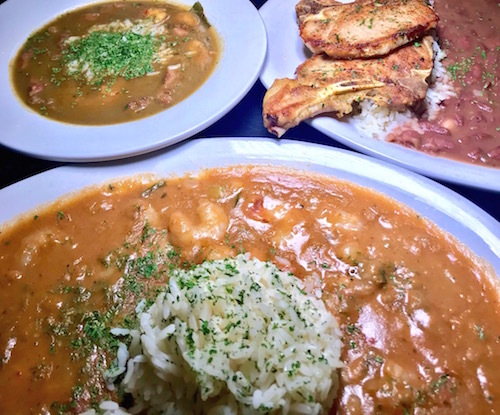 Walking into Backatown Coffee Parlour while DJ Chinua is spinning Caribbean Funk vibes could make you feel a little guilty because you’re out on a weeknight, but when it’s carnival season, the word “guilt” is never mentioned. 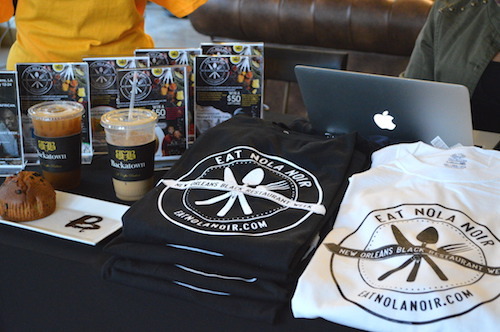 There’s more of a crowd than there would be on a typical weekday, and that’s all due to a pop-up event hosted by Eat NOLA Noir. The New Orleans Chapter of the Federal Bar Association (FBA) and the Veterans of Foreign Wars (VFW) are hosting a free legal fair on Saturday, November 11. The fair will include the FBA’s Wills for Veterans National Outreach Program that chapters across the country will participate in as a way to honor Veterans Day. 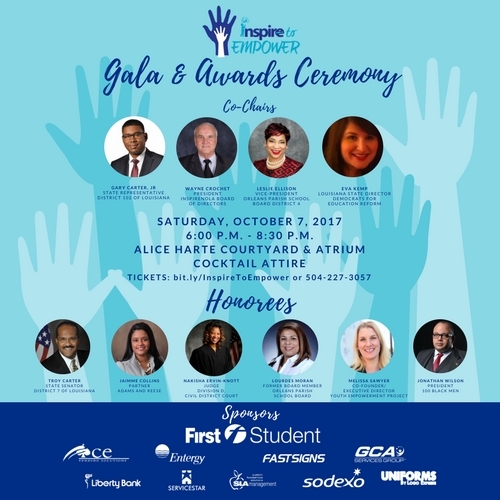 The Inspire to Empower Gala promises to be an incredible and inspiring evening for all who attend! Guests will enjoy an array of hors d’oeuvres, desserts, and libations in the gorgeous Alice M. Harte courtyard and atrium while listening to live entertainment and bidding in a silent auction.